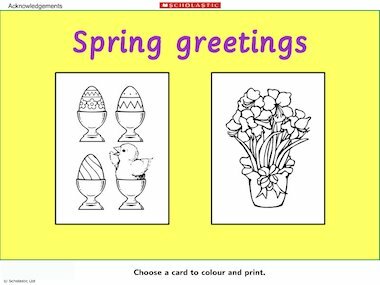 This great resource will help children to create a colourful spring-themed card to give to a friend, parent or carer. Choose an illustration, colour it in, pick a greeting and then print, fold and send! A great idea for Easter, Mothering Sunday and more!